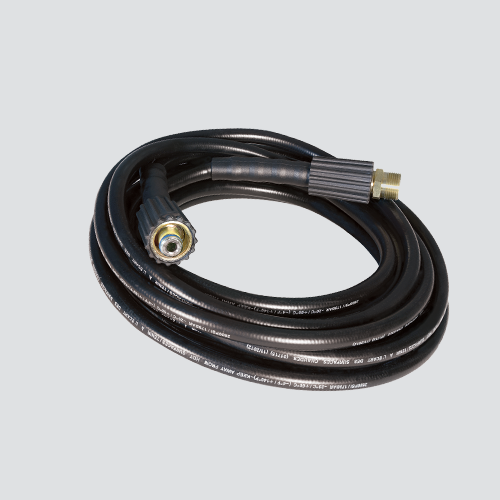 Thermoplastic Rubber (TPR) pressure washer hose is 60% lighter weight, and more flexible than rubber hoses, and works well in most cold water applications. It is constructed of a fabric reinforced, thermoplastic compound, which gives it increased strength, weather resistance, and chemical resistant. Both ends have permanently attached female metric couplings with bend restrictors for extended service life, and the assembly comes with a male metric adapter.